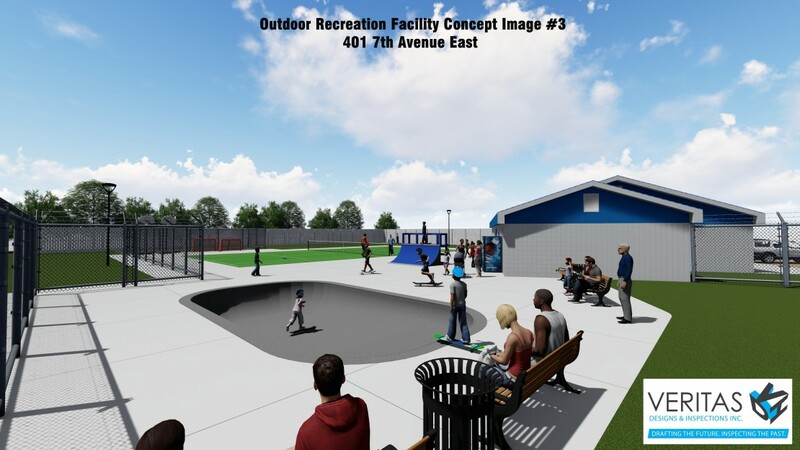 The Richardson Outdoor Recreation Park Project is a proposed muti-sport facility to be located on the former Centennial Swimming Pool site, located between the new Unity Credit Union Aquatics Centre and the Unity Community Centre Arena, immediately adjacent to KC Rescue. This Project would provide an all-season, all-access, no-cost recreation option for residents and visitors to the Town of Unity. Possible sports to be included at the site are ice skating, ball hockey, basketball, tennis, pickle ball, and skateboarding. Existing lighting at the site would allow for some evening use. A Committee is currently developing a fundraising plan for this prospective Project. Total cost of renovation and related equipment is estimated at $200,000. If you are interested in assisting with fundraising, becoming a sponsor, or making a donation to the Project, please contact Carey at 3062282621 ext 3. Click here to view 360 degree images of the concept design.